1- Double spoiler with incorporated air extractors: optimization of the aerodynamic trail and internal cooling. 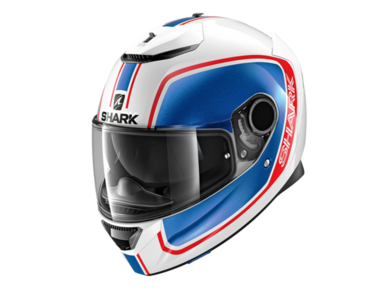 2- "SHARK skin" peak side fastenings: passive reduction of aerodynamic noise. 3- Autoseal system: flattens the visor onto the helmet, offers better soundproofing and seals the helmet (against water and cold).